Beers, Breweries, Lager, Pabst Brewing Co.
Pabst Blue Ribbon, a.k.a., PBR, the current beer of choice for angst-ridden hipsters and cheap alcoholics everywhere, got its “blue ribbon” and its modern name after winning the 1893 Chicago World’s Fair beer exposition, according to a blog post on SmithsonianMag.com. The beer, which was originally called Pabst Best Select, or PBS, had apparently been getting a lot of attention before the World’s Fair, and the brewer started tying ribbons onto the beer bottles to make them stand out. 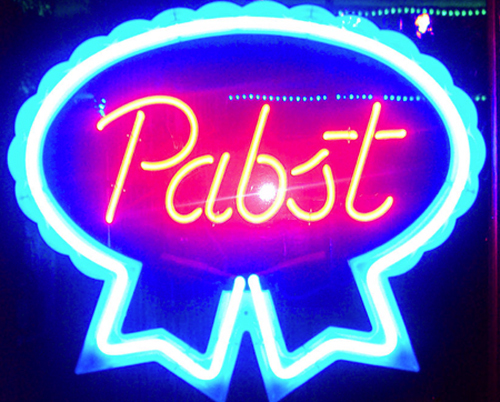 By 1900, Pabst was using more than a million feet of ribbon per year, according to the post. After winning best beer at the Chicago World’ Fair, the company changed its name. I guess it makes sense that Pabst actually won a major award before it got its modern-day name, but I never really stopped to consider which one. Now I—and you—know. The Smithsonian post is packed with additional details, so pop on over there for more information.